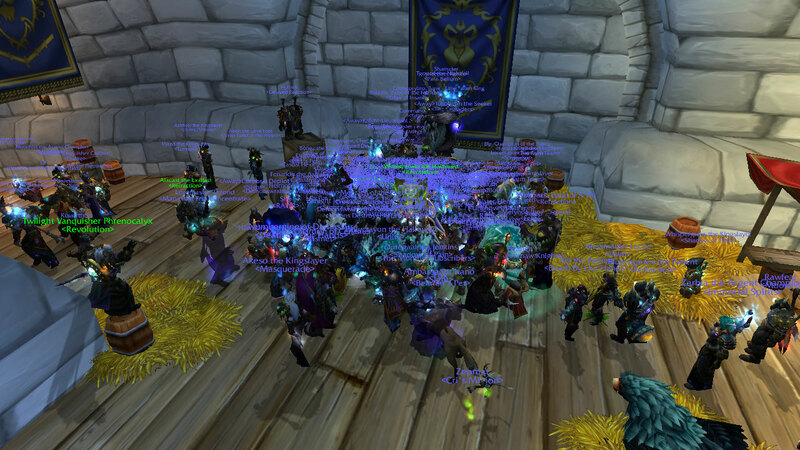 World of Warcraft: Cataclysm, the game’s third expansion, was released on North American servers approximately 20 minutes ago. 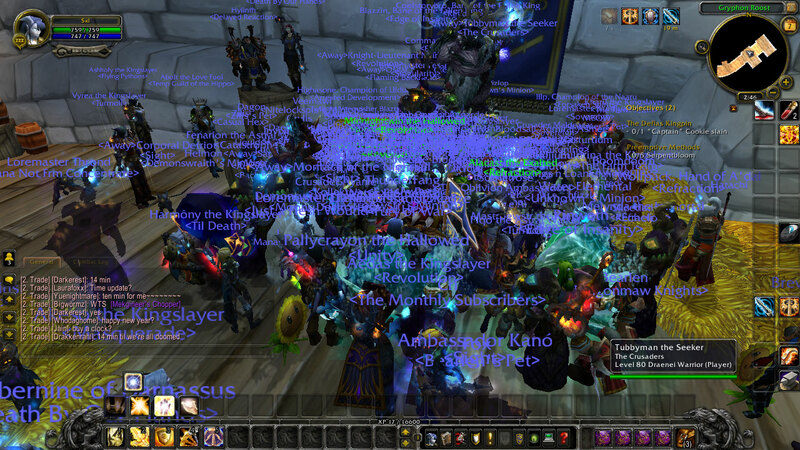 Just before the release, some areas became super-crowded. To experience the new content, one had to exit and re-login. 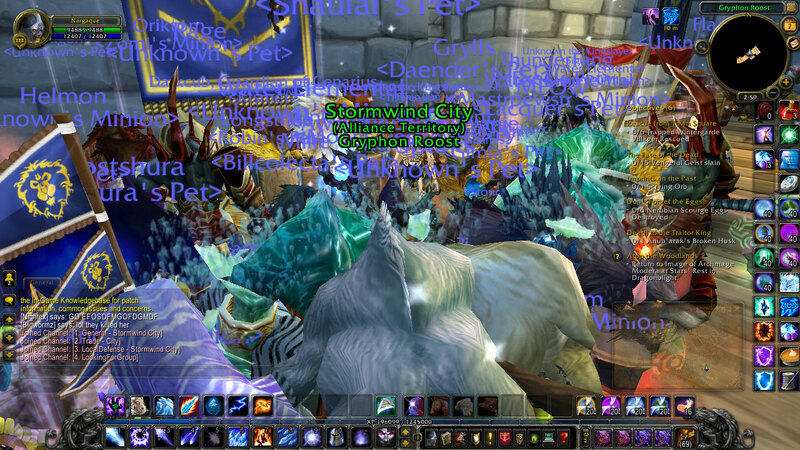 I snapped a few screenshots (with 2 characters) at Stormwind City’s Gryphon Roost just before I exited. I have not been able to log in (I’ve been trying, about two login attempts for every sentence in this post). 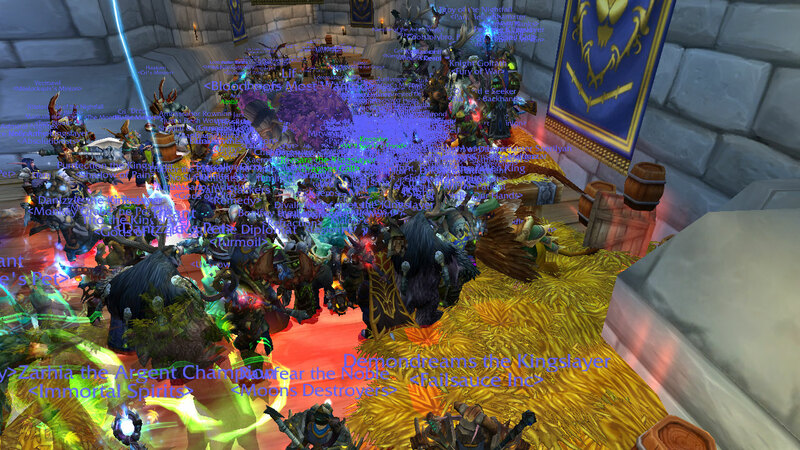 There are simply too many people trying to do the same, and Blizzard’s servers are unable to handle this load. 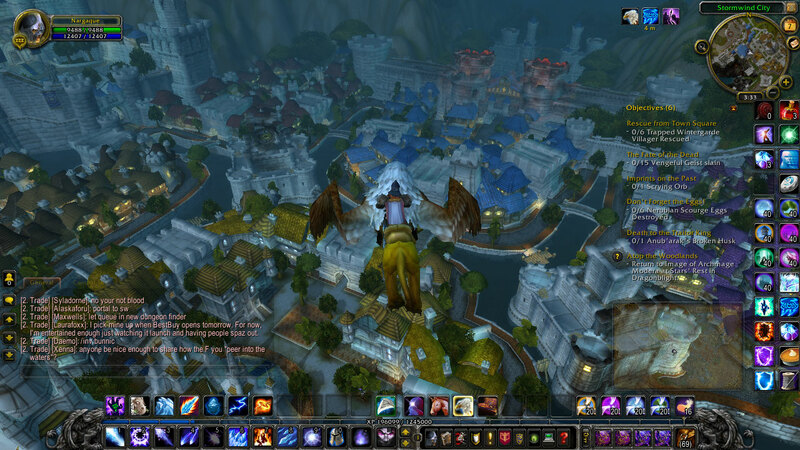 For the screenshots, I took one of Cataclysm’s new features: flying in Azeroth, the mainlands of the world. 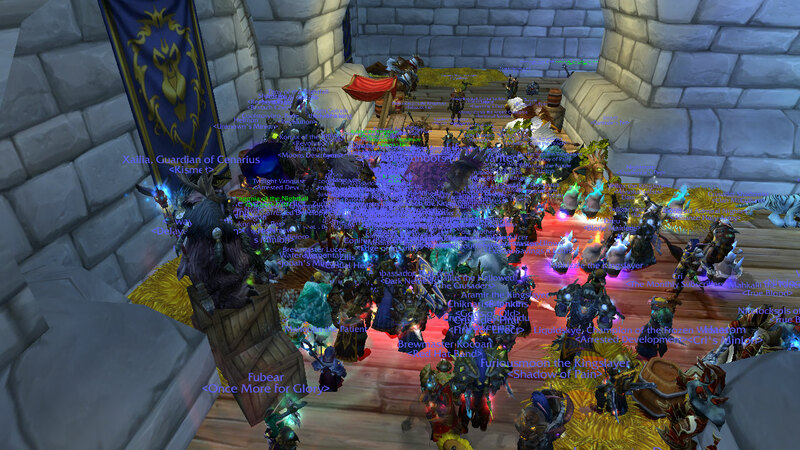 A person with Cataclysm and a level 60+ character may purchase (using in-game gold) a flight license at, for example, Stormwind. That’s just one little area, in one city, in one realm. 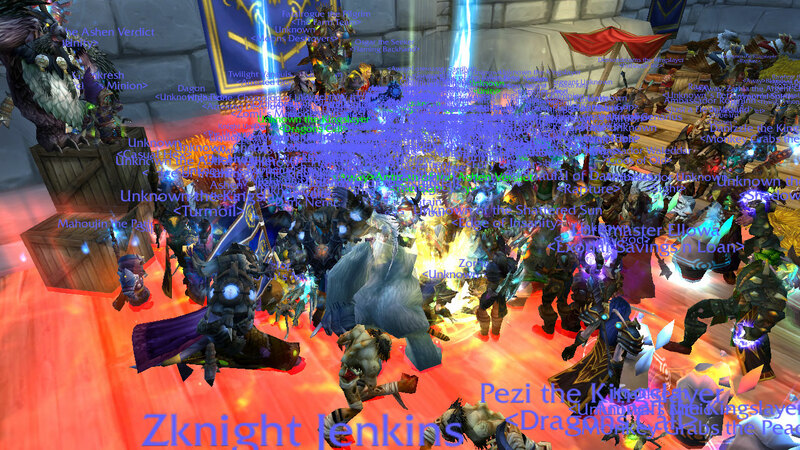 Edit: I was able to log in at approximately 31 minutes after release.